It has to be just right. Just dense enough, moist enough, banana-y enough - you know the drift. I've tried just about every banana bread recipe there is, but I've never been content. I've tried "The Best Ever Banana Bread Recipe"s the "Ultimate Banana Bread Recipe"s, "The Only Banana Bread Recipe You'll Ever Need" - but they weren't perfect. You see, when I was younger, Mum would occasionally buy or make us banana bread as a special treat. Warm and toasted with butter - crispy crunchy edges and soft dense centres. But I didn't want banana cake bread filled with sugar and three tonnes of butter. I wanted to create a healthy version that was still absolutely perfect - and you'll be happy to know I succeeded! After batch after batch after batch, I've come up with the perfect fail proof recipe. There's no funky ingredients and there's also no sugar, no oil, no gluten and only a tiny little bit of butter. What I created was a Healthy Banana Bread Recipe that was all of what good banana bread should be - but without all of the extra baggage banana bread usually has. 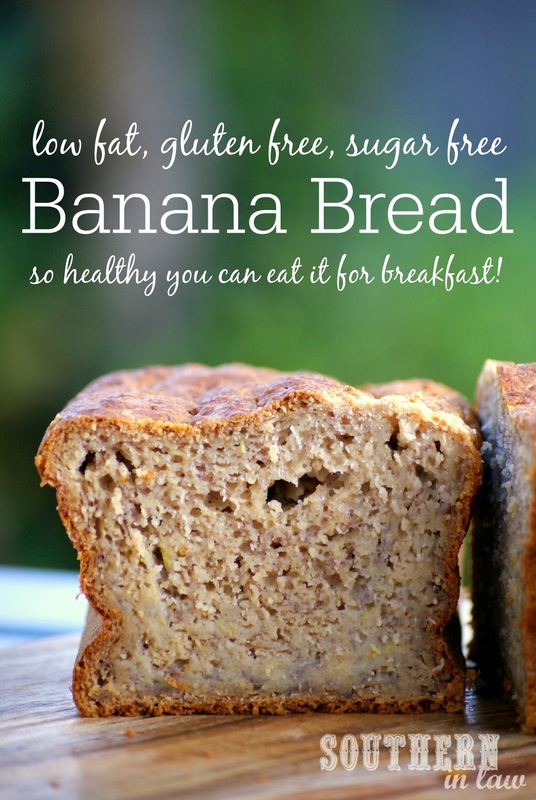 I wanted a recipe that was healthy enough to eat for breakfast because, well, who doesn't want banana bread for breakfast?! Jesse and I were obsessed from the first bite - and enjoyed a slice of our banana bread toasted and topped with butter for breakfast with a side of fresh fruit. Jesse tried all of his usual tricks - telling me "oh Kristy, you forgot to give me breakfast this morning", trying to hide the banana bread so I wouldn't eat it, suddenly feigning amnesia so he could get another slice - and now he watches the ripening bananas like a hawk waiting for another batch of banana bread to be made. 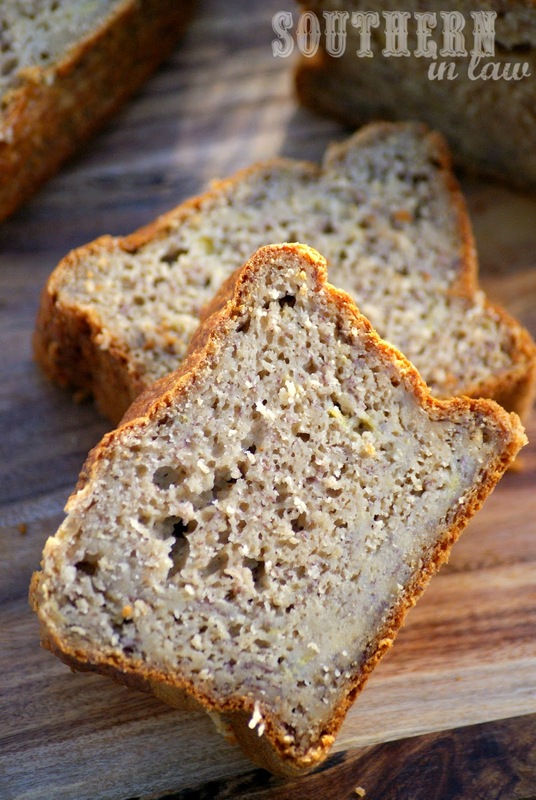 This is seriously the only banana bread recipe you need because it's so so good - so good, in-fact, the even my fussy Mama gave it the thumbs up! Hundreds of recipes promise to be The Best Banana Bread Recipe - but Kristy was never satisfied... so she created a Healthy Banana Bread Recipe that is low fat, gluten free, sugar free and healthy enough to eat for breakfast. Perfect toasted and topped with butter or eaten as is and the recipe is also freezer friendly! 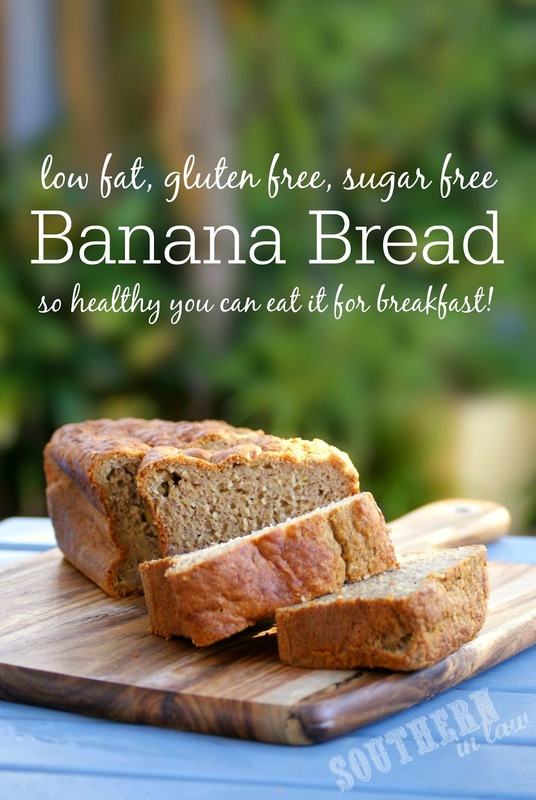 The only banana bread recipe you will ever need! Grease and/or line a small/medium loaf tin. In a mixer, beat your butter and honey until smooth and creamy. Add in your eggs, banana** and applesauce. Add in your flours, salt and raising agents to your mixer and mix on low until just combined, scraping down the edges to ensure everything is incorporated. Pour your mixture into your prepared loaf tin and tap the bottom of your tin on the counter to even out the mixture. Bake for ~1 hour or until a skewer inserted into the centre of your loaf removes clean. If you're finding your top is cooking faster than the inside, cover your loaf with foil to stop the top from browning too much. 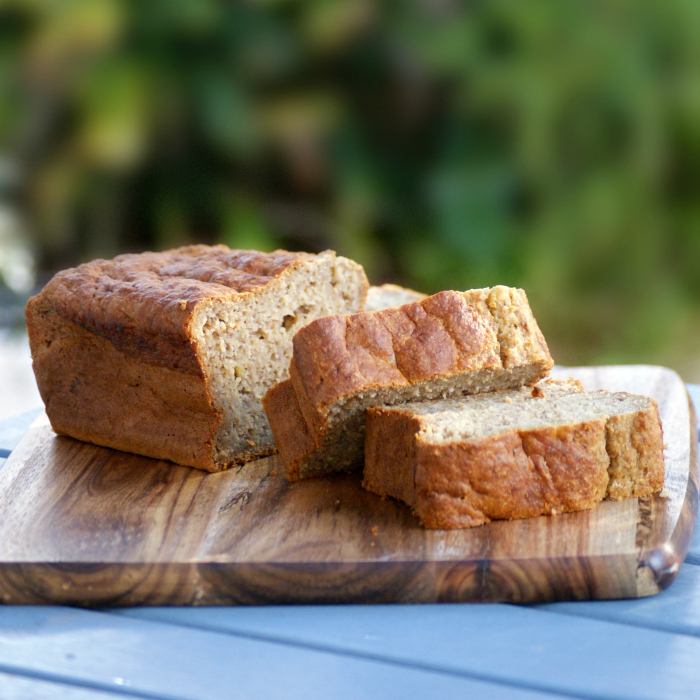 Store your banana bread in an airtight container at room temperature or in the fridge (the choice is yours!) for up to three days. This loaf also freezes really well - just slice, wrap and store in zip lock bags in the freezer. 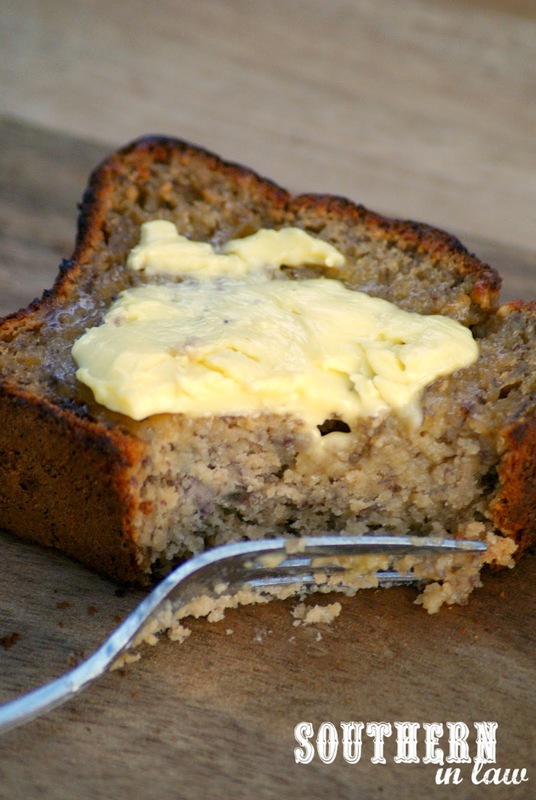 The banana bread is even better the next day as the flavour develops! *Find out more about gluten free oats in our post, http://www.southerninlaw.com/2013/06/are-oats-gluten-free-where-to-buy-gluten-free-oats-in-australia.html If you cannot tolerate oats, you may replace the oat flour with 1 cup of gluten free plain flour or quinoa/buckwheat/sorghum flour. But tell me, are you a banana bread fan? Is there a certain food you're really fussy with? And what's a treat you remember fondly from your childhood? Yogurt frogs always remind me of being a kid as my Grandpa would always buy them for me from the health food shop as a treat. Ok sooo I'm not the biggest fan of the word "moist", but this bread looks so moist and delicious! Love that it's healthy too!